Develops the student's ability to create and use ideas! 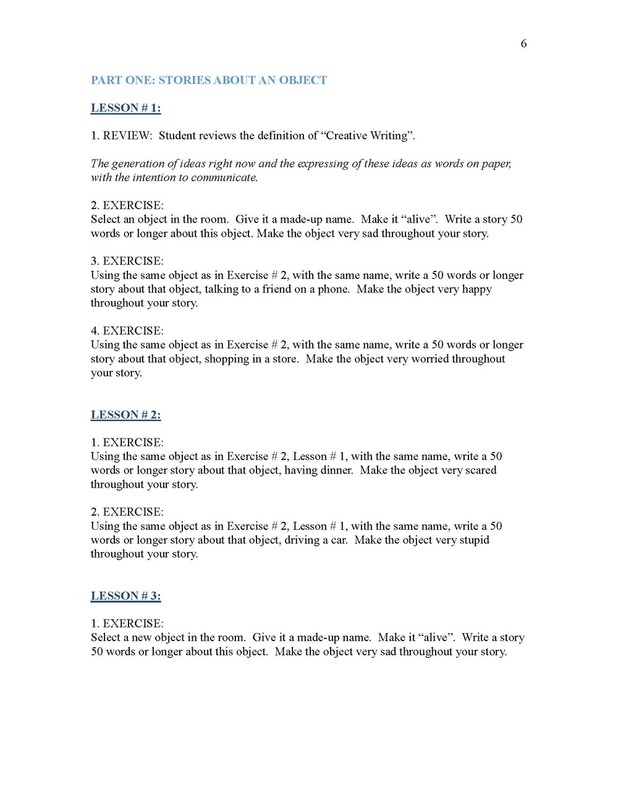 Introduces basic concepts of writing! Develops study in a self-determined manner! For the student who wants to work on getting more and better writing ideas! This is a specialized course during which the student expands rapidly into a creative writer. Where do ideas come from? Find out directly from a lifelong educator with 40 years experience, as well as an Emmy and Dramalogue award-winning, often produced and published author. Creative Writing 2 requires no additional materials. 35 lesson plans. This course takes 40-60 hours generally to complete.